Still going strong with my cans from my New Jersey peoples. Description: From the website this IPA went heavy on the hops, featuring Calypso, Denali, El Dorado, Citra, Mosaic, Eukenot, Lupulin Powder, and hop oils. Whew. My can was from a release in early March. Appearance: Cloudy golden/amber body with a foamy white head that steadily bubbled down to lacing across the top of the glass. Smell: Sweet tropical fruits atop a slight hint of pine sap. Taste: Lots of subtle fruit upfront, mostly melon, apricot, and tangerine. About midway through a mild to moderate grassy, piney hop bitterness began and lingered on for a bit after finishing the sip. 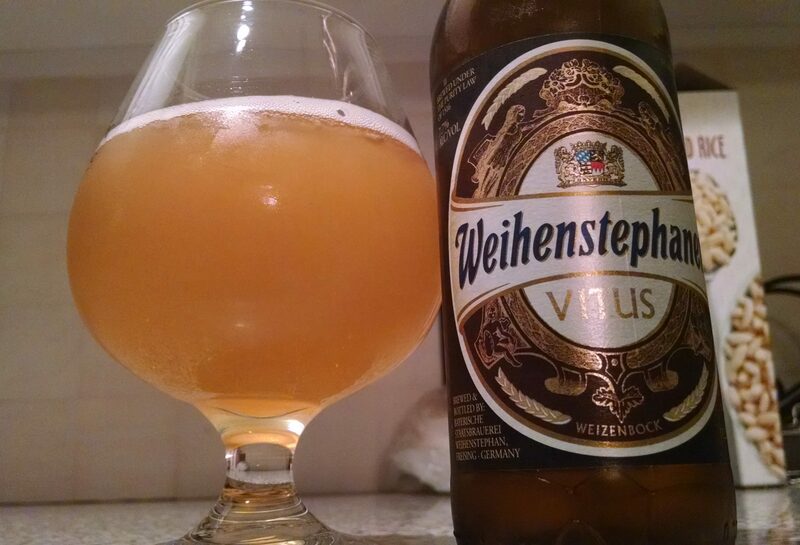 Mouthfeel: Medium creamy/juicy body with relatively low-level carbonation for the style. 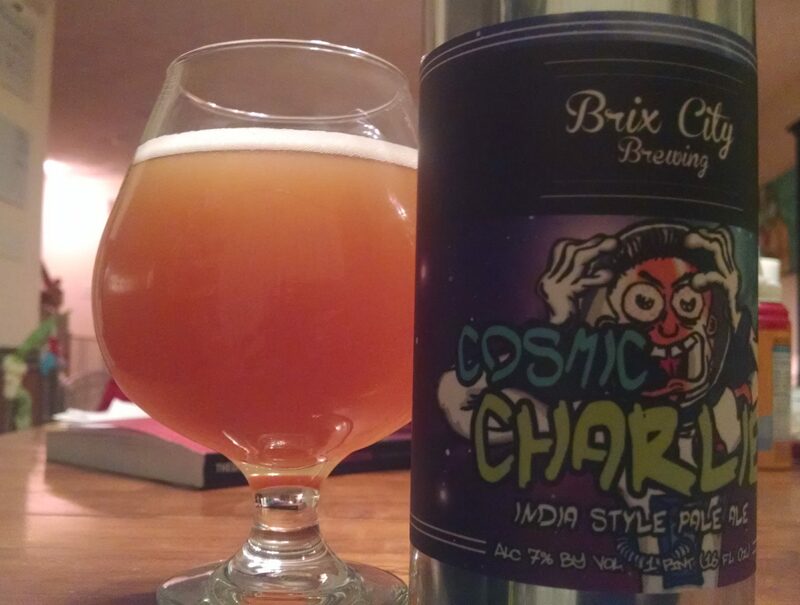 Hype: Since I have a bit of a personal connection to the brewery, I am always excited to try out Brix beers. Overall: It was a solid IPA. It didn’t really give me anything to rave about, but there’s absolutely nothing wrong with it either. Nice juiciness and a pleasing amount of hoppy goodness made this an easy beverage to kick back and enjoy. For my next beer, I decided it was time to share the love and brought in a four-pack to drink with the beer crew at work. Not only was it a great way to build karma, but I got to show off some of my friend’s recent efforts as well. 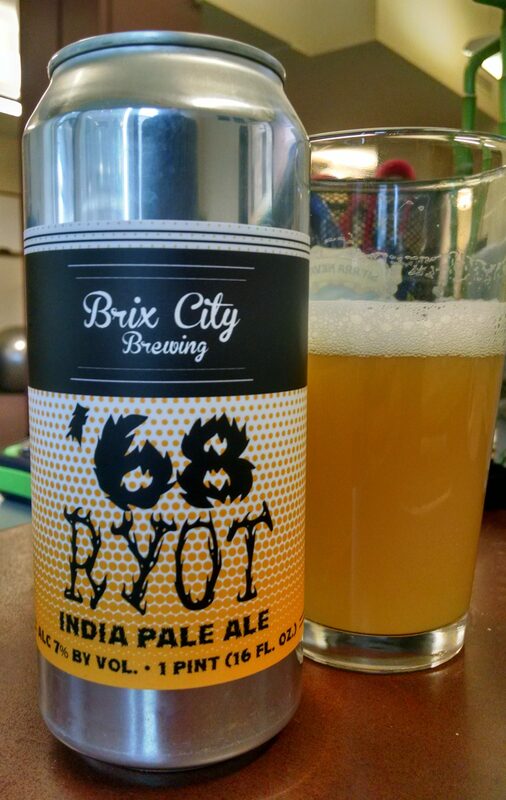 Description: Per the brewery website, this rye IPA was brewed with Citra and Simcoe hops. Canned on 03/03/2017. Appearance: Hazy dark straw yellow body topped off by a thin yet persistent slightly off-white foam. Smell: A little bit sweet upfront, followed by a bit of rye and bitterness on the end. Taste: Started out sweet and tropical. From there it took on an earthy, piney bitterness and culminated with light grains and a small hit of rye. Flavors were all very complimentary to each other and well balanced. Mouthfeel: Creamy, medium body with a low to moderate level of carbonation. Hype: I was excited. I really enjoyed this beer the first time I tried it and had it on good authority this was a particularly tasty batch. Overall: I really liked this. Great, balanced flavor profile from start to finish perfectly backed up by the mouthfeel. I’m not usually a big rye IPA enthusiast, but the bit of rye at the end really gave this beer a little something extra to make it stand out for me. It was a hit with the coworkers as well. With Abbadon’s Gate having successfully renewed my interest in this series, I eagerly went into book four, Cibola Burn. As with my past reviews, while there are no spoilers that follow for this particular novel, I cannot make the same promise for content from the previous books. Cibola Burn skips ahead two years in the timeline and takes place on the first human settlement within the newly accessible alien worlds. Barely one year into the fledgling colony’s existence old conflicts from back home threaten its stability. The colonists, all survivors of the disaster on Ganymede, have unwelcome visitors when scientists from an Earth-based corporation arrive with permits to study the world. Fearing the eventual loss of their home and its lithium deposits, more extreme elements of the settlers attack and critically damage an incoming shuttle, causing a political crisis back in the centers of humanity. Realizing few good outcomes exist, the UN and OPA nominate none other James Holden to mediate between the two sides and defuse tensions. Holden, however, has more than diplomacy to worry about. The protomolecule consciousness, still in the guise of Detective Miller, is very interested in the alien ruins on the outskirts of the colony and is imploring Holden to help it uncover the answers about its creators. Those answers, however, might not necessarily benefit the world’s human population. Overall I liked this book. It did an excellent job advancing the protomolecule/Miller storyline in some really interesting ways. The few chapters from what was presumably Miller’s perspective were fascinating and eerie. On the human side, the growing political intrigues make for very compelling reading as they are getting more complex and far-reaching as the books go on. There was a pretty major development at the end of this novel, and the teaser chapters featuring two of my favorite characters from previous books, Bobbie Draper and Chrisjen Avasarala, hint that they will have significant roles to play in upcoming events much to my delight. Although I have had somewhat mixed feelings about the characters in this series as a whole, the possibility of more Avasarala is alone enough to keep me going, at least as long as the overarching story remains strong. That said, when I consider how much I like the overall story, it is disappointing that similar character issues have hurt my opinion of three out of the four books I’ve read so far. This time around I was troubled by two major flaws. The first of these was pretty much the majority of POV character Elvi Okoye’s storyline. As a scientist visiting the first alien world humans have landed on, there was a lot of potential for her character. Unfortunately that was largely wasted on a ridiculous storyline involving a crush on Holden and a personal “problem” that took up way too much of the book and frankly felt out-of-place and a bit insulting to both character and reader. The other flaw was that upon first arriving at the planet, Holden’s reactions to events on the ground were mind-bogglingly inept. I don’t want to get too much into the details, but I felt he inexplicably gave one side way too much leeway and as a result enabled events to more rapidly escalate out of control. As a reader, I was able to clearly see merits of both sides in the dispute, as well as recognize the terrible people in both groups. With Holden’s outlook being so central to the story, I feel like this insight was mostly lost and prevented the novel from making a more effective point – if that was even the intention. I do plan to continue on with the series. At this point I guess I’m committed to see it through. I am almost reached a different sort of problem. I am four books into the nine that have been planed and only the next two are currently out. Book number seven is slated for release this year and then I am waiting for 2018 and 2019 for the last two, which almost sound like SciFi dates themselves. As someone who’s not accustomed to reading a series before it’s done this is rather troubling to me! When I saw that my usual bottle shop downtown received a delivery of some Funky Buddha brews I took an early lunch to head on over and pick some up. I haven’t had a chance to try any of their beers outside of a festival and this particular one sounded like my kind of thing. Description: Per the brewer’s description, this porter was brewed with black cocoa from Brazil and Madagascar vanilla beans. A four pack of 12 oz. bottles came at a pretty reasonable cost of $13. Appearance: Black body briefly topped off by a thin tan head. Smell: Big dose of a sweet chocolate and fudgy cocoa, not entirely unlike chocolate milk. Taste: Sweet, creamy chocolate with a very light amount of roasted malt and mild coffee bitterness. Finish was a combination of sweet chocolate and light roast with a bit of nuts and vanilla thrown in as well. Mouthfeel: Medium-thin body that felt smooth and slick. Minimal carbonation. Hype: Elevated. The brewery has a pretty solid reputation and is just starting to get distributed in my area. They made quite the impression on me at the Extreme Beer Festival a few years back. Overall: I liked it, but wasn’t particularly blown away. My biggest wish for this beer was that it had a thicker body, which I think that would have better complimented the flavor profile and made the creamy chocolate flavors stand out a bit more. Not a bad pickup, but not one I feel overly compelled to make again either. 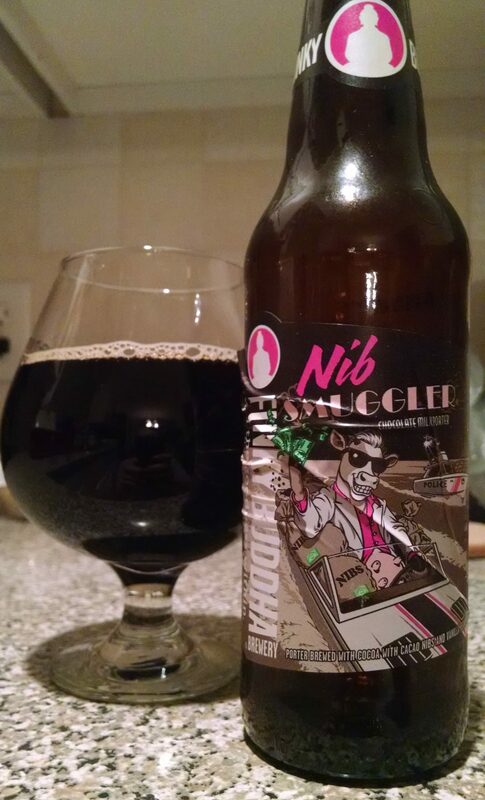 Checking in with my next beer from the Mid-Atlantic stash I was given last week. I believe I had this one put aside for me after loving the last beer I got a chance to try out from this brewery. Description: Again, not a lot of official information to go on here, so I’ll let the info on the can label guide me. 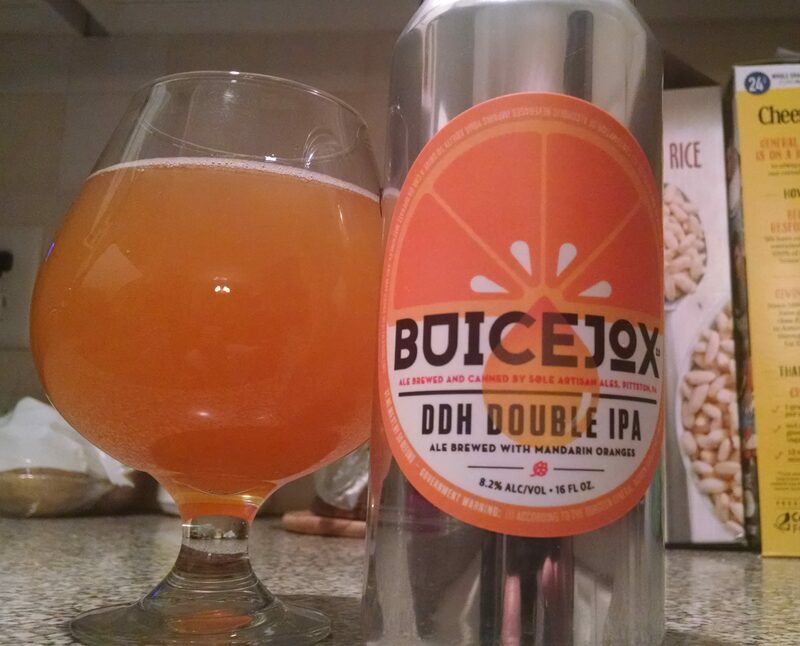 This juicy DIPA was dry-hopped and brewed with mandarin oranges. Couldn’t read the date on the can, but my guess is this came out late January/early February. Appearance: Body was an opaque, cloudy light orange color. A thin yet lively white head formed with the pour but very quickly fizzled away. Smell: Huge burst of tangerine and orange. Taste: Picks up right where the smell left off. Lots of citrusy, pulpy tangerine and orange juice with maybe just a little bit of grapefruit on the end. A mellow grassy/earthy/pith bitterness lingers on the finish. Calling this lightly hopped juice box wouldn’t be too far off. Mouthfeel: Light little bubbles open and close each sip, with a medium-thin juicy body standing out in between. Hype:I think the general excitement around this beer may have passed, but it does look like these cans moved quickly. Personally I had high hopes based on a past experience with this brewery. Overall: Definitely tasty, but upon hearing it described as Tang before opening this up I really couldn’t get past the sweetness reminding me of a boxed “juice drink” even though this was made with much more wholesome ingredients. Although I did not like this quite as much as I did their Mosaic Nerd a few weeks back, I am still pretty impressed with this brewery. They seem to have really done a good job putting their own spin on the juicy IPA style to differentiate themselves. 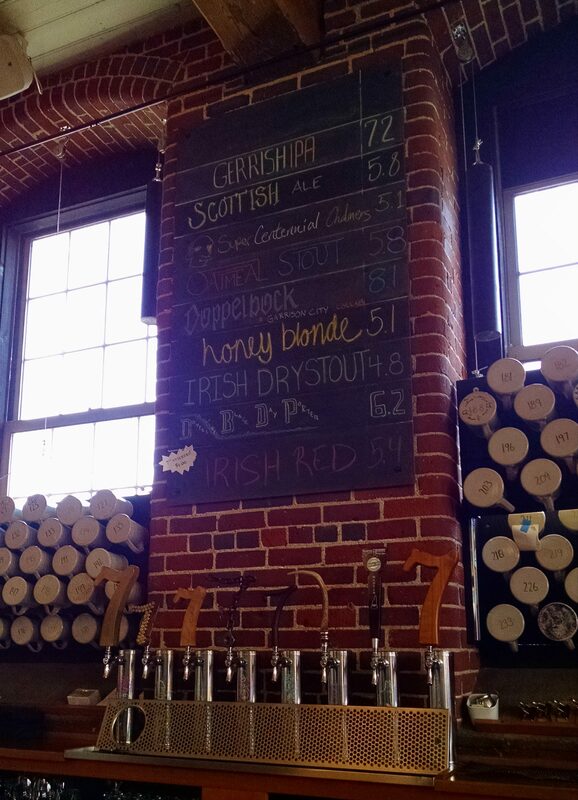 I happened upon 7th Settlement Brewery while scouting out an overnight stay in nearby Dover, NH. 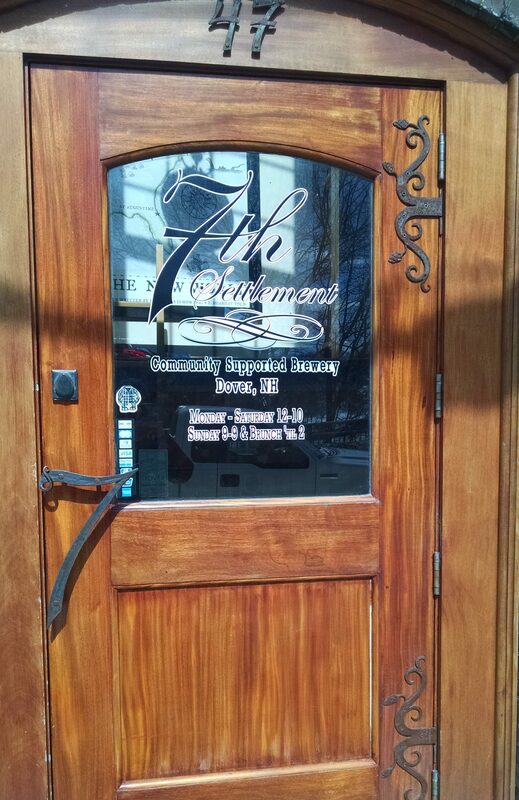 Conveniently located across the street from the Children’s Museum of New Hampshire, I stopped off in here while my wife took our little man away for a nap after a busy morning exploring the museum. The brewery has been open for about three years now and my initial impression based on their online presence and from walking in the door is that they pride themselves as much upon serving up tasty locally sourced food as they do on brewing excellent beer. Seeing as I was going in alone I took a seat at their long bar, though behind me was a large open area with plenty of tables for sitting down to a meal. Before I get into the beer, I will say that their Spicy Blues Burger with blue cheese, chorizo spices, and small batch hot sauce was fantastic and made for a delightfully cheesy, spicy, and slightly messy drinking companion. But now for the important stuff. The beers on the whole ranged from about average to very good. There were ten or eleven brews pouring the day I visited, and they skewed more towards the maltier end of the spectrum. Having sampled eight of these offerings I feel like I got a pretty good sense of what they had to offer. Of those, two really stood out to me as clear favorites: the Scottish Ale and a Doppelbock brewed in collaboration with Garrison City Beerworks, Dover’s other brewery. The Scottish Ale had a nice smooth, creamy body and tasted of sweet toffee malts mixed with a bit of caramel. What I especially liked was that it did not have any of the roast or smoke that a lot of other beers in this style put on prominent display. When I mentioned this to the bartender, he opined that was the way it should be and I whole-heartedly agree. As for the Doppelbock, well, this was something special. Malty, sweet, and packing a nice bit of heat on the finish, this 8.1% offering seemed like it would make for an ideal way to keep warm on a cold New England day. Although I am on a bit of an (D)IPA spree with my at home drinking, I think it’s refreshing to check out a brewery and come home raving about a scotch ale and a doppelbock. Rounding out the flight shown above were the Oatmeal Stout, an Irish Dry Stout, the fantastically named Super Centennial Chalmers IPA (bonus points if you get the reference), and their Irish Red which I would rate in the order listed. The Oatmeal Stout was pretty much right on point for the style and the Irish Dry Stout would stand in perfectly for a Guinness, though it had a slight bit more roasted malt to it. The IPA was decent and also happened to be the lone hop-forward beer I had that day (there was one other on tap I didn’t get to). It had some nice floral and grapefruit bitterness going on, but my attention was on other things. As for the Irish Red I liked it just fine, but I don’t have a lot to say about it since it’s not really style I get that excited about. Before closing out I got in two more samples for good measure. The first of these was from a fresh batch of their flagship 1623 Almighty Brown Ale. I was pleasantly surprised by how much I liked this considering I am not usually that into brown ales. It had a nice light sweetness and mellow roastiness that made it quite easy to drink. This was probably my third favorite beer of the day. 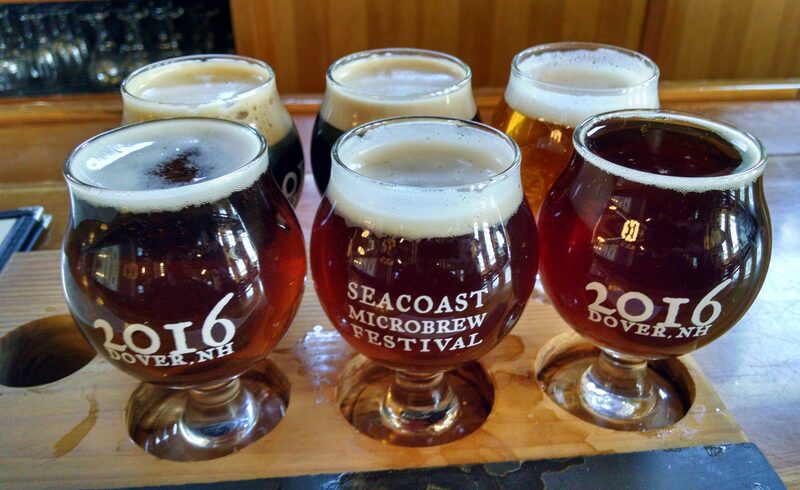 As an aside, a bit of history reveals the naming origins of both beer and brewery as 1623 was the year Dover became an official permanent settlement, making it the seventh in what would become the United States. 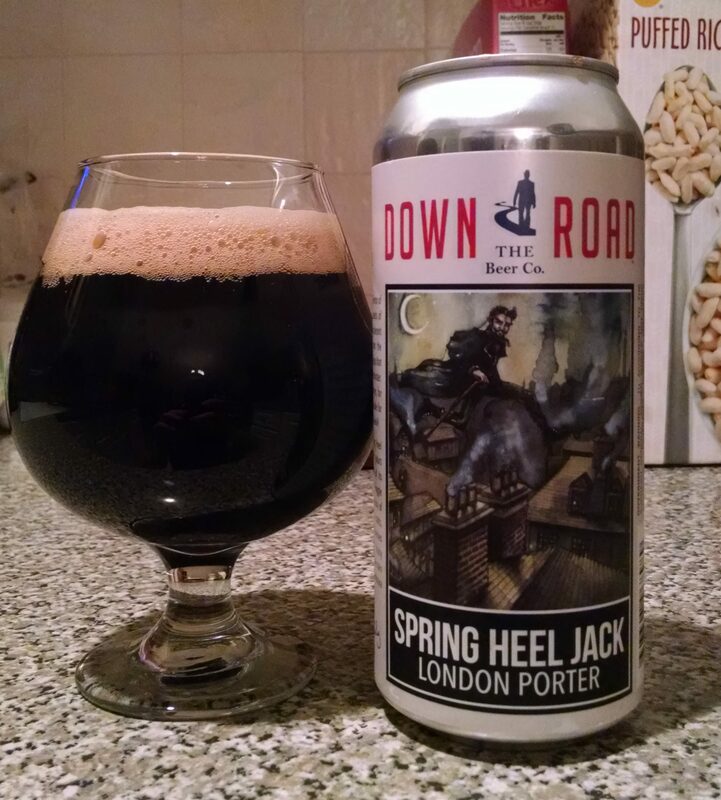 With that established, I ended my visit with the Dover’s Dark Day Porter. It featured a subtle blend of sweet malts, mild roast, and bittersweet chocolate that provided a solid finish to a very tasty lunch break. As you might have guessed, I had an excellent time here enjoying plenty of good beer and good food served up by a friendly and knowledgeable bartender. I really enjoyed that the offerings were more on the traditional and malt-centric side of things. While my refrigerator can certainly attest to me liking those trendy hazy DIPAs as much as the next enthusiast, I appreciated going to a place proudly doing something different from the rest of the pack. While 7th Settlement may not provide the fix thrill-seekers or hop-juice heads are after, they are serving up some quality beers that are both tasty and approachable. Definitely check them out if you’re in the area. I certainly hope to be back. My wife and I had friends in town last weekend and during their time here we shared a some great brews. Being the awesome people that they are, I also ended up with a few treats from the Mid-Atlantic region left behind in my beer fridge. Guess I know what I’ll be drinking for my next few posts. Description: It was tough to track down an official description of this release, so I’ll start out with the obvious statement that this was a collaboration between two New York State brewers. You can get a bit more of that story from Instagram. It looks like there were two canning runs of this, mine coming from the initial 01/27/2017 batch. Appearance: Cloudy yellow/orangish amber body underneath a fluffy white layer of foam. Smell: A whole lot of sweet tropical fruits. I picked up on mango, apricot, and pineapple in particular. Taste: There was a haze of dank, bitter piney hops that hung over this beer right from the start. It began somewhat mildly and steadily built up to giving a bit of bite on the end of each sip. Underneath this was a subtle tropical fruit and melon sweetness, along with some light bready malts. On the finish, the hops were joined by grapefruit bitterness and a touch of heat that maintained itself at a pretty low-level throughout the pour. Mouthfeel: Medium-plus body, with a moderate amount of carbonation that was most noticeable towards the end of each sip. Hype: Elevated. Other Half seem to have, rightly so from my experiences, Trillium levels of excitement within their sphere of influence and a collaboration beer is especially interesting. I also know that the person who gave me this doesn’t mess around with her beer, giving me another reason to be excited. Overall: I suppose I ended up coming across this brew a bit later than a lot of other people drinking or reviewing it, but that didn’t stop me from really enjoying it. I was actually a bit surprised by the taste, I had gone in expecting a juice-bomb based and ended up with something a bit more balanced. Sure the hops were on the aggressive side, but never to the point that they were overbearing, leaving the beer somehow more balanced than not despite the relative subtlety of the other flavors. 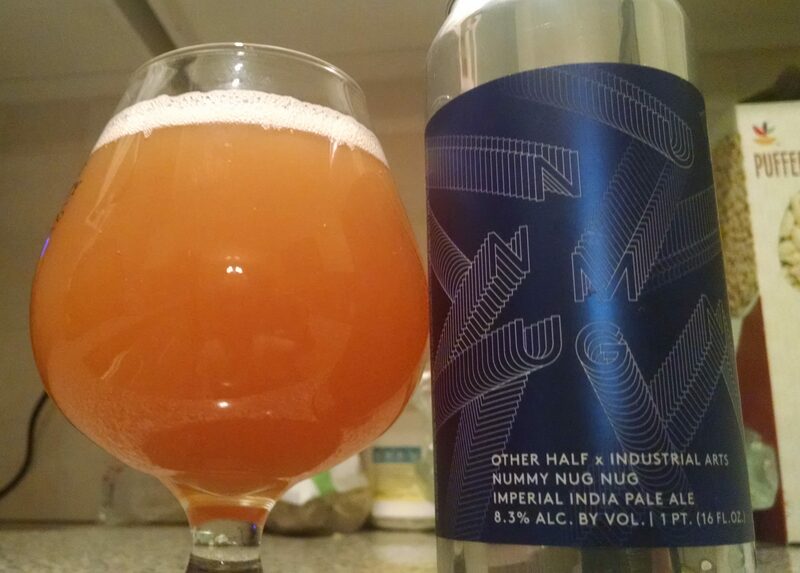 Overall a very nice brew that maintained my opinion of Other Half and made me really curious to try out something from Industrial Arts. In my review for Caliban’s War, I had been wavering on whether or not to stick with the Expanse series. I was so torn that the third book, Abaddon’s Gate, had about a 50/50 chance of keeping me, and I’ll admit that I went into it with cautious expectations. As a warning, what follows is a general discussion of the book. While I don’t post blatant spoilers, revealing plot points from previous novels is somewhat unavoidable at this point. If you have yet to read this far, or are watching the SyFy series, proceed at your own risk. The events of Abaddon’s Gate occur roughly a year after the end of the previous book. James Holden and the crew of the Rocinante have been enjoying a period of success, translating their fame and notoriety into a series of lucrative security contracts. Despite their newfound comfort Holden is troubled by past events involving the alien protomolecule, most notably due to its consciousness having begun reaching out to him in the form of Detective Miller. Adding to his worries is the revelation that the ring-shaped structure launched from Venus is a gateway to an advanced transportation network, and there is no telling who, or what, is lurking on the other side. In reluctantly accepting a job transporting a film crew to the device, Holden decides to face his fears and hopefully appease the Miller apparition. Events, however, have a way of blowing up around him. When a saboteur bombs a UN destroyer and frames the Rocinante, Holden and crew have no choice but to flee through the gate to buy time to clear their names. On the other side they find the unimaginable: an empty space filled only by a field of other gateways, controlled by a mysterious space station. With a coalition of UN, Martian, and OPA ships in pursuit, survival for Holden becomes a race to unlock the secrets of the station and find a way to get everyone back home, ideally proving his innocence in the process. This book made me glad I stuck with the series as I found it the best installment so far. I am getting into the politics and mysteries of the overarching story and the new twists in this novel really got me wanting more. Indeed, this was the first installment in which I felt a real sense of danger for any of the core group and there was an excellent feeling of suspense throughout. Once things go wrong inside the gate, the technological and psychological struggles made for excellent reading. Going back to the characters, this was my favorite overall cast so far and on the whole I like the increasingly varied and diverse people populating these books. Notably, this installment was a bit less centered on Holden, another huge plus in my view. Although he is still no doubt the main player in this universe, I find him much better in smaller doses where he isn’t the primary mover of events. POV character Carlos “Bull” de Baca was one of my top three in the series thus far and one of the others, Clarrissa Mao, was very good as well. In combination with an interesting supporting cast, they easily made up for the weakness of Anna Volovodov, the fourth main character. I am pleased to say that I got more than enough enjoyment of this book to eagerly continue on with the series. I picked this up on whim the other day while browsing at a local store. I’ve been seeing the brewery around a lot lately and was curious to check this out. Description: Described as rich and malty by the brewers, you can find some more of their notes and specs by scrolling down to the seasonals section on their website. My four-pack of tall boys cost $13.99. Appearance: Thick black body with about a finger’s worth of dark tan foam. Smell: Slightly sweet with hints of rich dark malt. Taste: A light coffee roast started out upfront and peaked towards the end where the beer became noticeably more bitter. In between I found the dark malts alluded to by the smell mixed with a creamy sweetness. At warmer temperatures a touch of alcohol could be picked up on the finish. Mouthfeel: Body started out medium-plus but ended up a bit thinner by the end. Low carbonation overall with a little bit of tingly bubbles to close out the sip. Hype: I was really curious to try out more from this brewery after really liking their Seventh Star IPA and finding out they will be opening a taproom close by in the near future. Overall: I liked this just fine but wasn’t really blown away, especially in comparison to some of the beers I’ve had lately with similar taste profiles. The roasty bitterness on the finish seemed just a bit out of line with the rest of the beer, especially after it sat for a few minutes and the alcohol came out a bit. Solid, but not spectacular. With this entry, I add a bit of diversity to my reviews. This isn’t typical of the styles or breweries that I typically look for, but it did end up in the fridge courtesy of my wife who picked it up for me based on a recommendation. I honestly don’t know if I would have selected this myself, but that’s all part of the fun. Description: Briefly stated, this beer was brewed to feature a spicy, fruity profile more reminiscent of a wheat beer than a traditional bock. You can the full write-up (in English!) here on the brewery website. Appearance: Poured a murky straw yellow body topped off by a thin layer of white foam. Smell: Sweet, with fruity esters. Taste: Similar to the smell, there was a wheaty, bubblegum-like sweetness upfront. Closing out the sip were banana esters with a touch of clove and assorted spices. Each aspect came with a light touch, but combined into one very smooth and flavorful beverage. Very fresh and light considering the ABV. Mouthfeel: Smooth, creamy body with a moderate amount of carbonation. Hype: Respect is probably the better word. I recognize the brewery as well-regarded in beer circles, they’ve just never really been on my radar to try out. Overall: This was a step outside my usual comfort zone, but what a delicious step it was. I enjoyed the sweetness and found the amount of clove and spice added just the right amount of flavor without putting me off the beer. Would definitely recommend this and might have to check out a few more of these. Props to the person that recommended this.